Tex Year knows the importance of appearances of products. We customize our products for carbonated drinks and non-carbonated drinks business in which we need to deal with different types of plastic labels, such as , PE coating for water resistance, BOPP, synthetic paper, and PEPA, which is easily recyclable. We also have the products workable for bonding to the plastic or glass bottle directly. Our products work well on PP and PET plastic materials which brings strong bonding strengths on plastic or metal bottles. Tex Year adhesives can keep the label from migrating and get rid of pollution problems when the products are moved after long storages. Low viscosity can reduce the odds of label deformation and wire drawling when it comes to low temperature operation. This brings our customer more conveniences to their productions. Labels are pasted after liquids are filled when it comes to non-carbonated drinks, such as mineral water and tea. Bottle weight can affect the bonding effect. Our adhesives have low viscosities, operable under low temperature, easily reflux, suitable for fast production lines. Tex Year adhesives allow no deformation of labels on beverage bottles and avoid the defect rate of the finished product appearances. Labels are pasted before liquids are filled when it comes to carbonated drinks. Bottle weight affects the bonding because carbon dioxide swells up after bottles are filled. 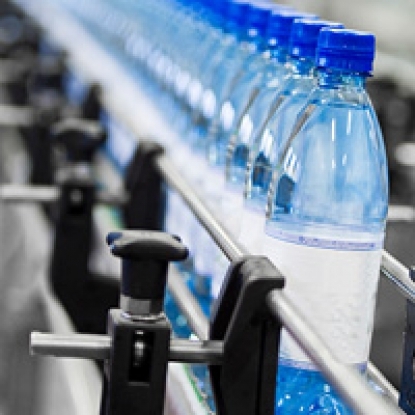 Tex Year adhesives allow no deformation of labels on beverage bottles, no label immigrating caused by swollen bottle and avoid the defect rate of the finished product appearances. Low viscosity, operable under low temperature, easily reflux, cold resistant, no label immigrating when frozen, suitable for extended shelf life and refrigerated dairy products. Low odor, production friendly, no label immigrating under both room and fridge temperature. Offer the most suitable hot melt adhesive for bonding PS cups based on the weight of pulps. Suitable for paper ring labels for yogurt milk boxes.